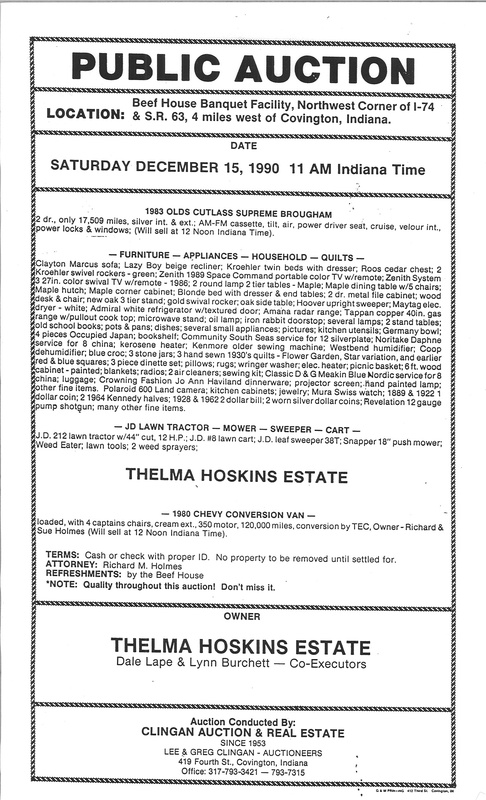 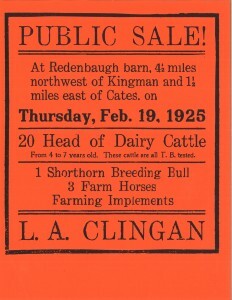 The Clingan family has been auctioneers since 1907. 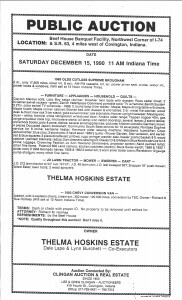 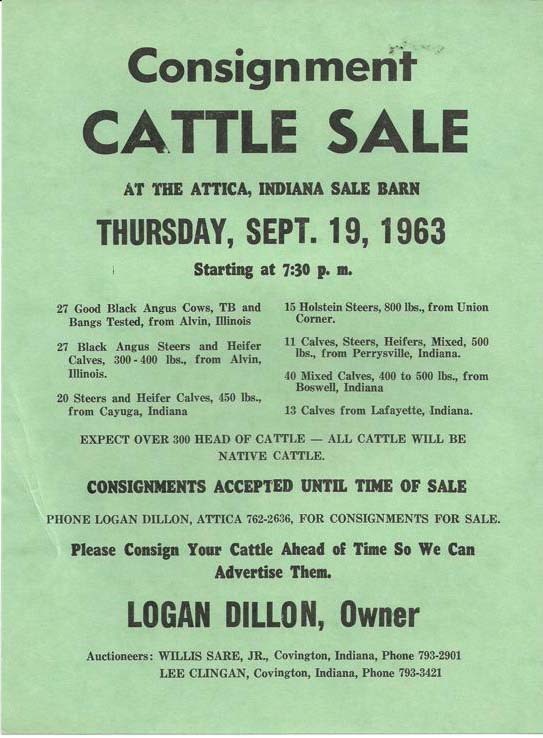 With a family history in Indiana dating back decades, the Clingan family has established a name of trust and quality in the auction business. 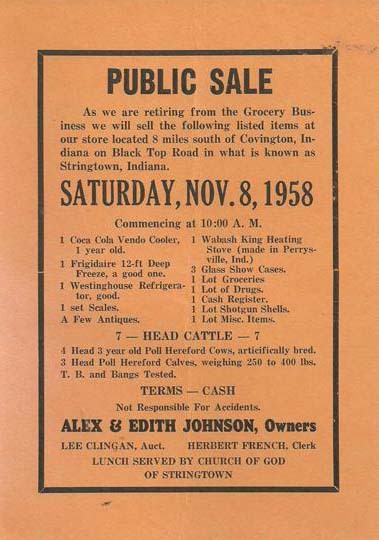 The Clingan family has been active not only in business but also the community with family members holding various offices in the local government. 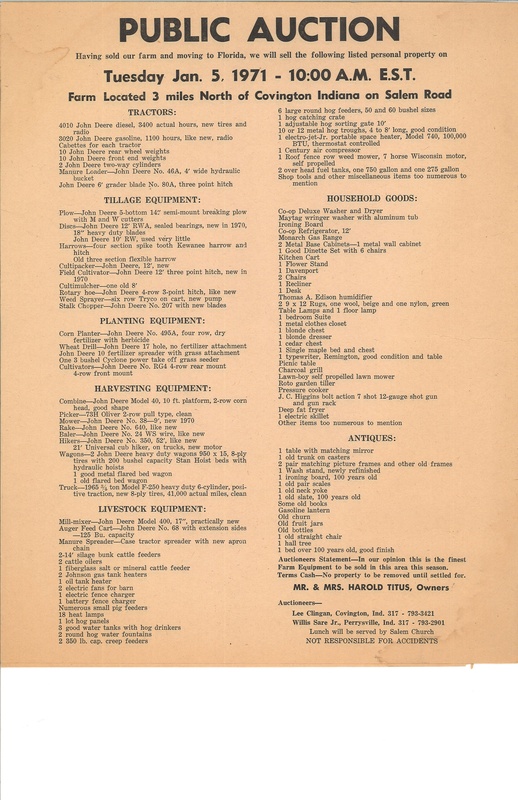 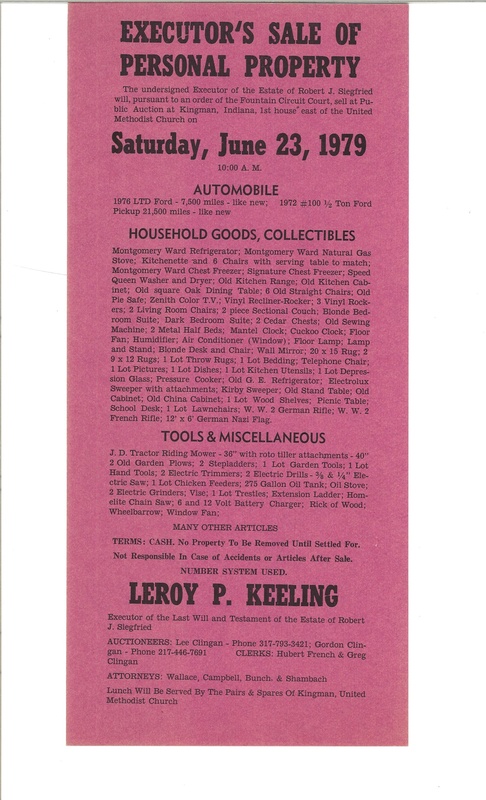 Herschel Clingan was a graduate of The Jones’ National School of Auctioneering and Oratory in Chicago in 1907. 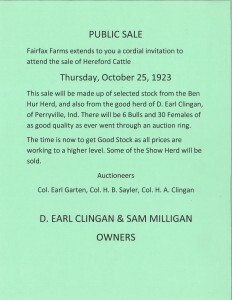 It was believed to be the first auction school in Amercia. 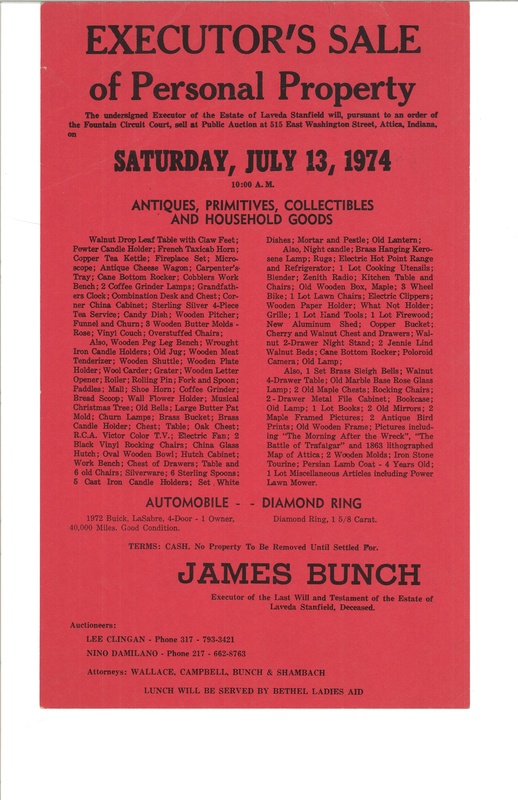 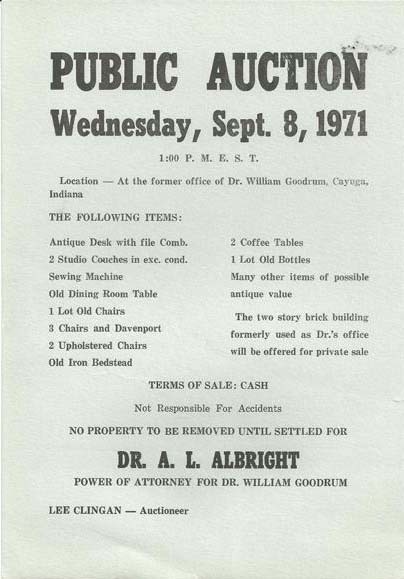 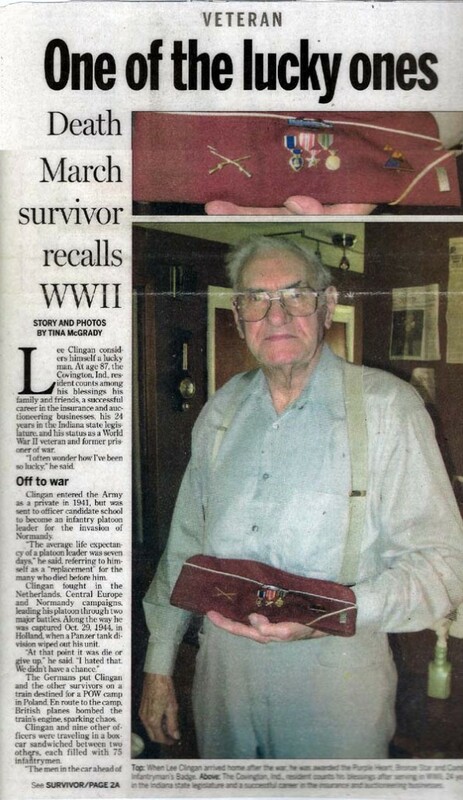 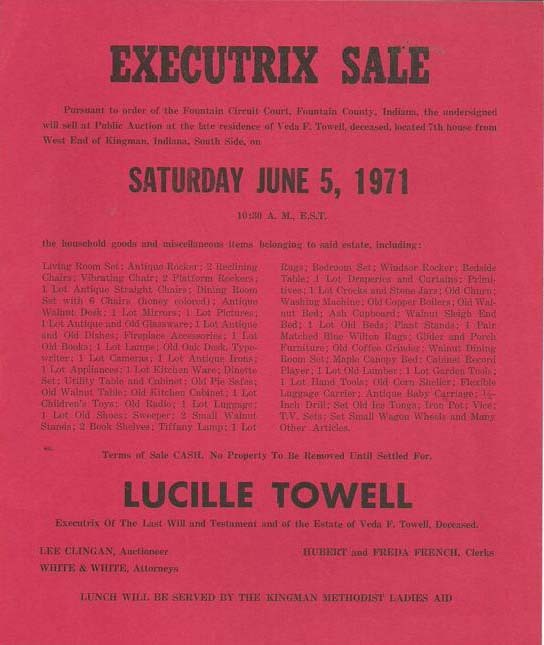 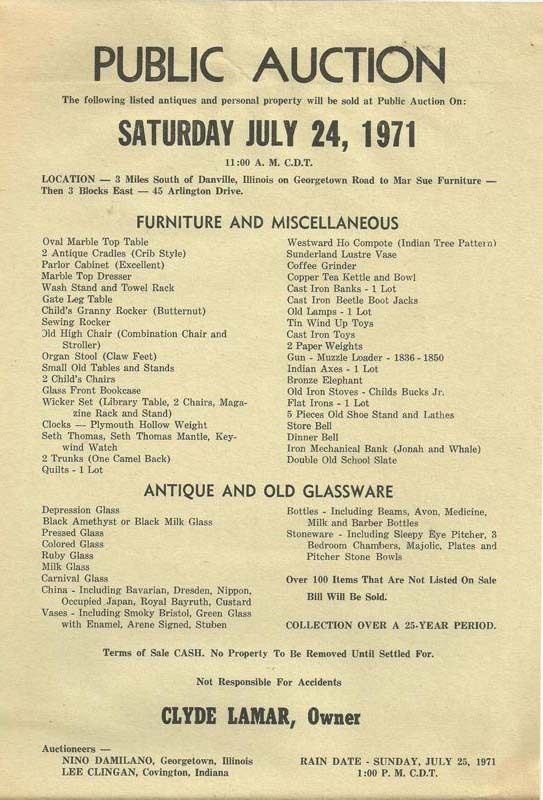 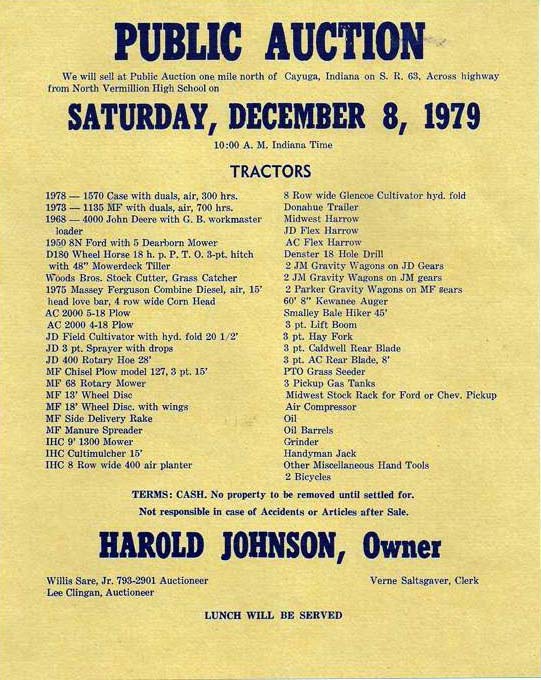 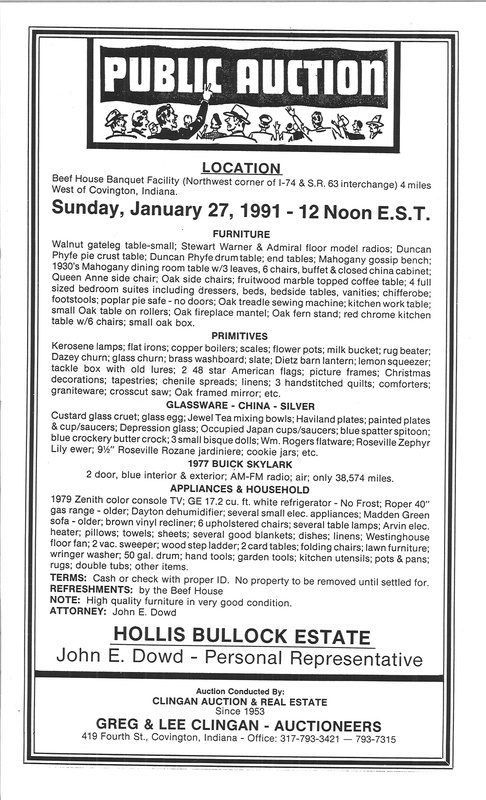 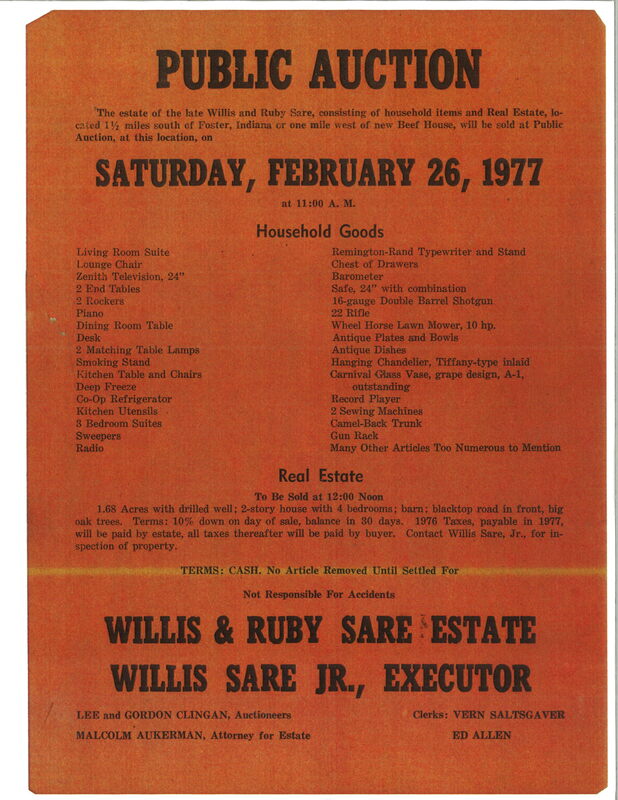 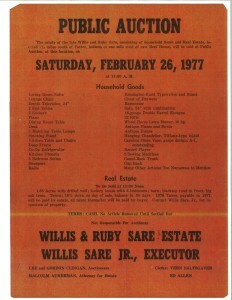 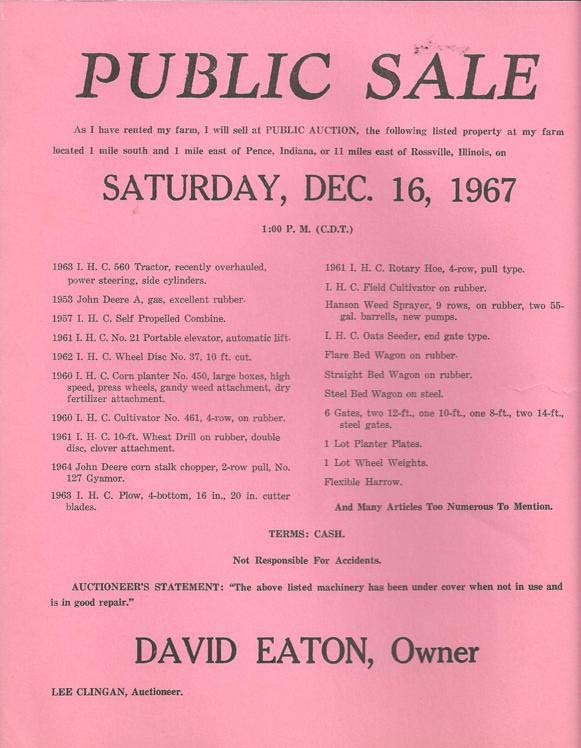 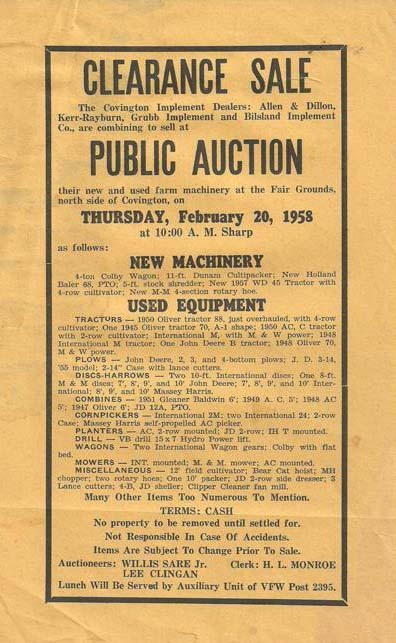 It was started by auctioneer Carey M. Jones in Davenport, Iowa. 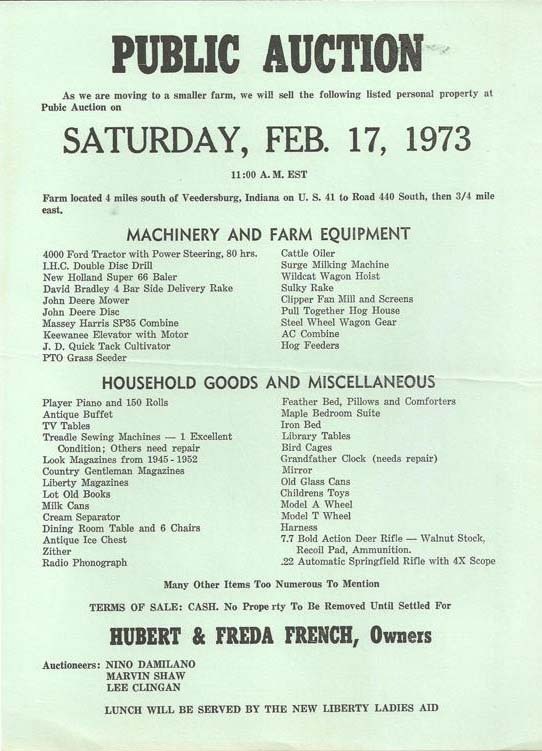 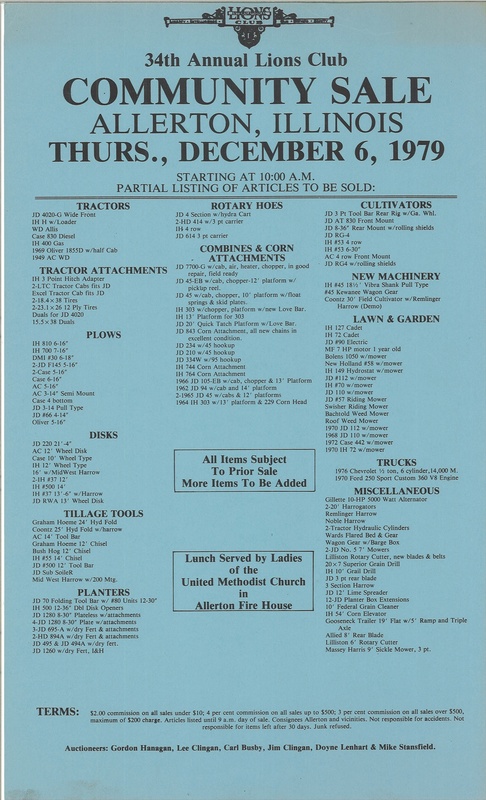 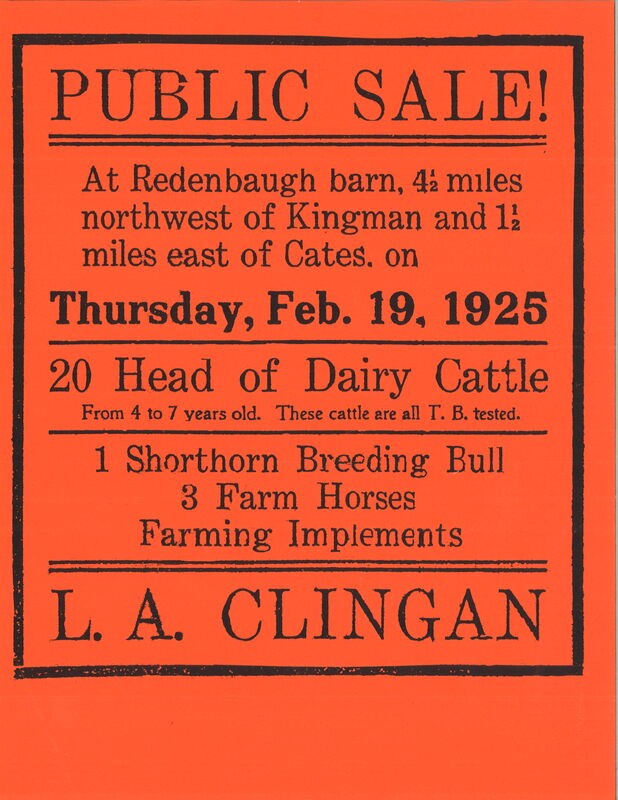 As you can see from above the above sales bills, the Clingan family have been in the auction world through three generations. 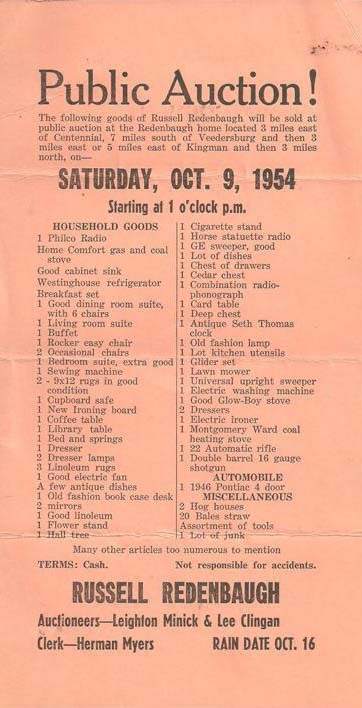 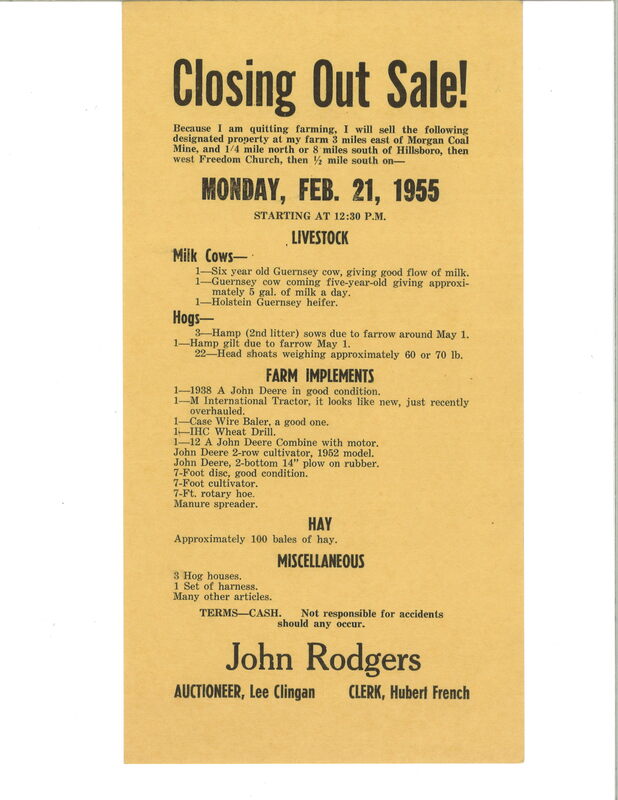 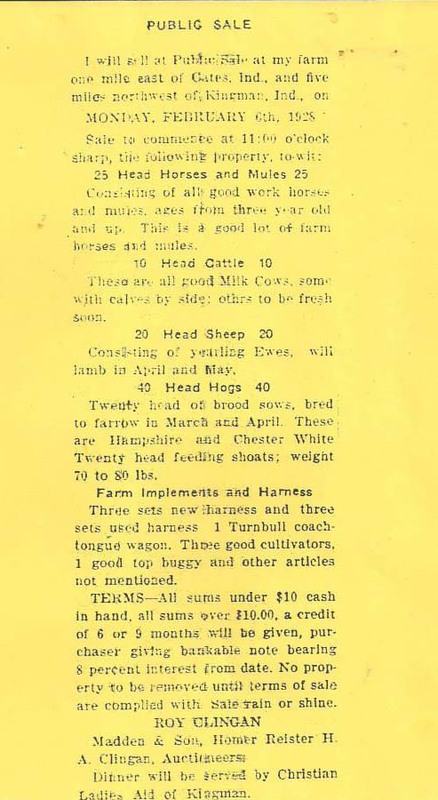 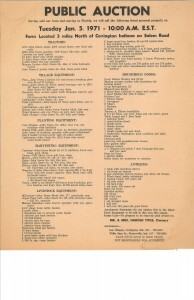 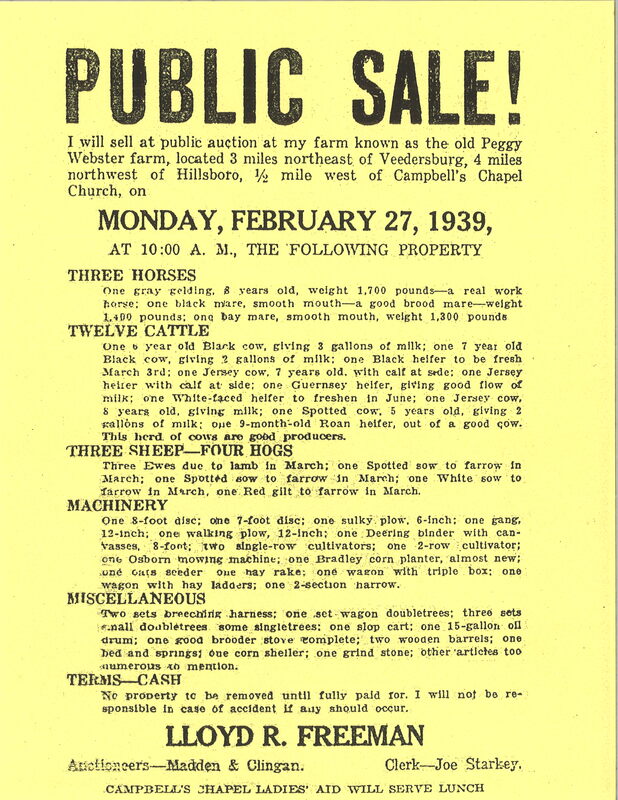 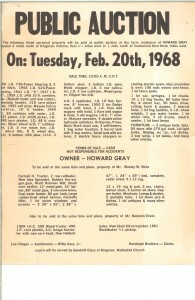 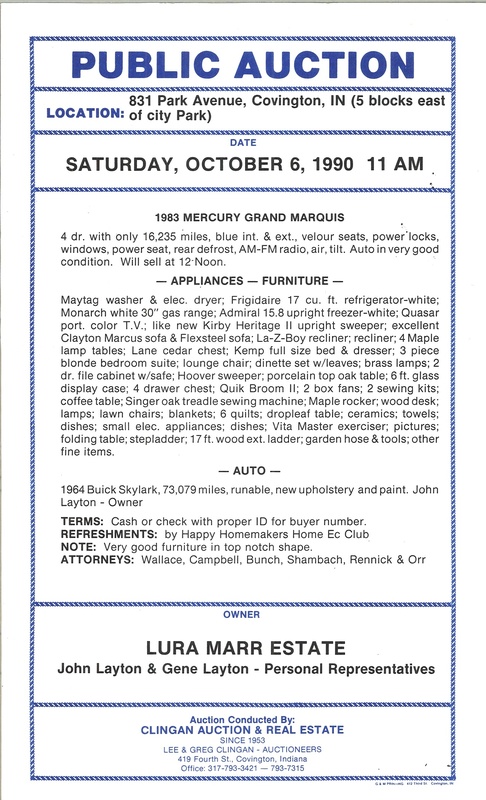 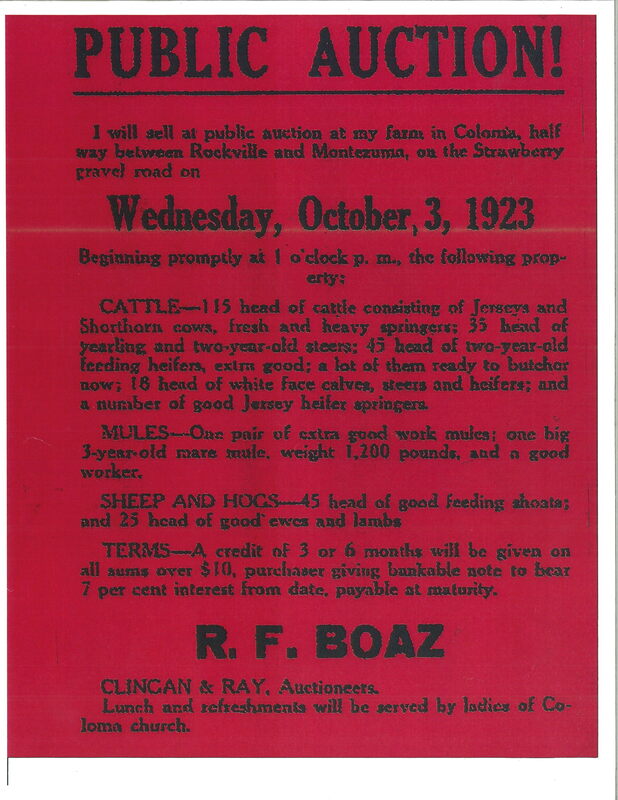 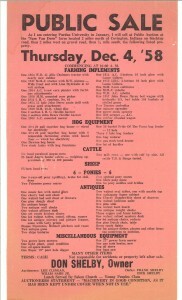 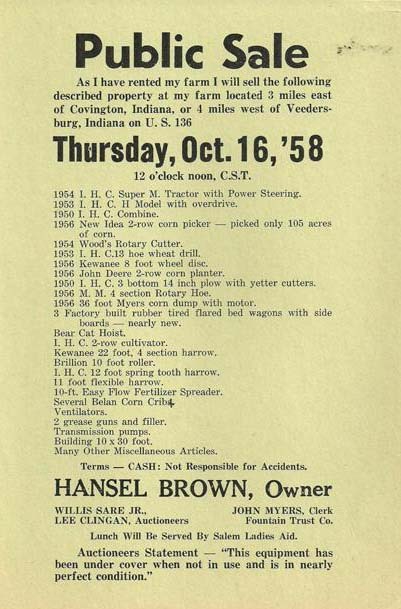 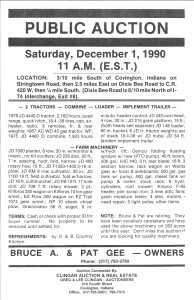 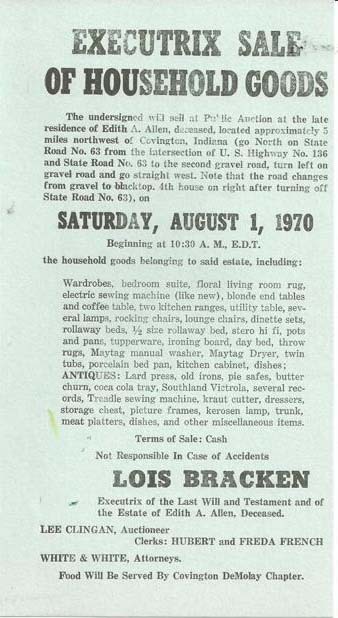 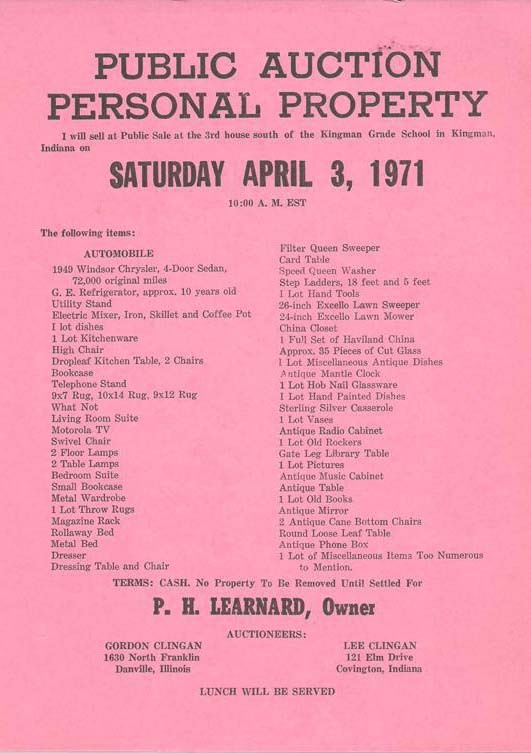 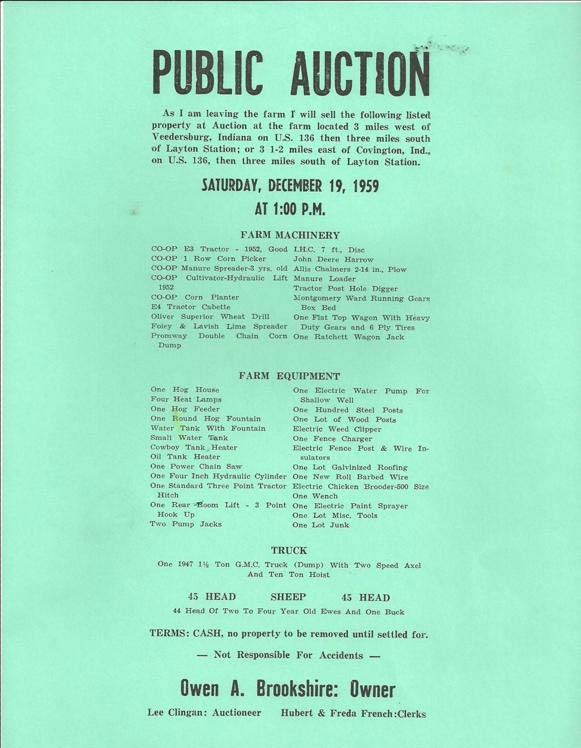 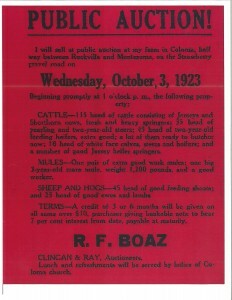 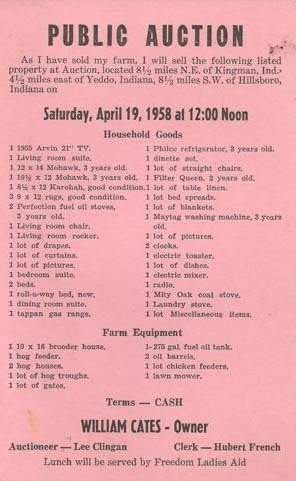 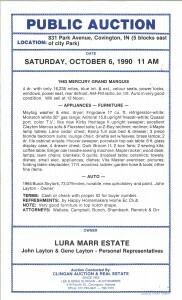 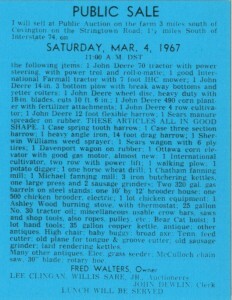 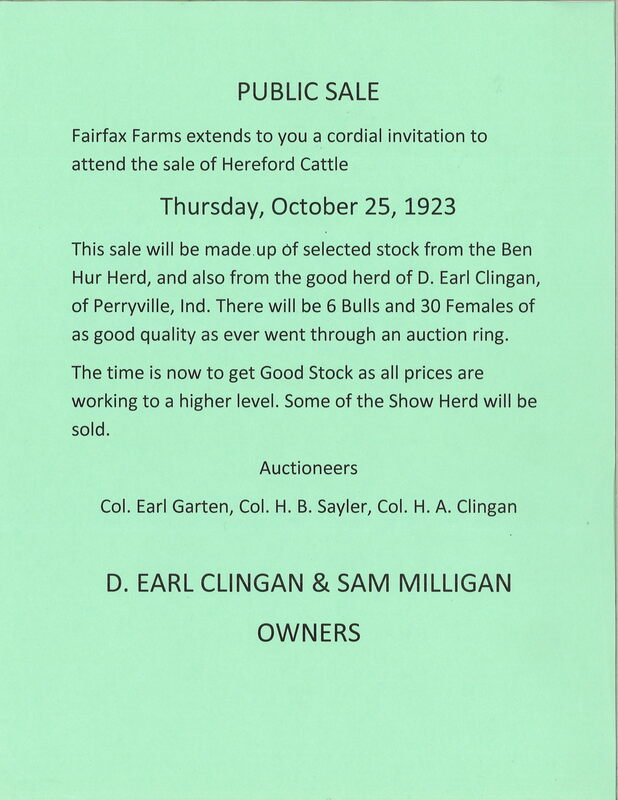 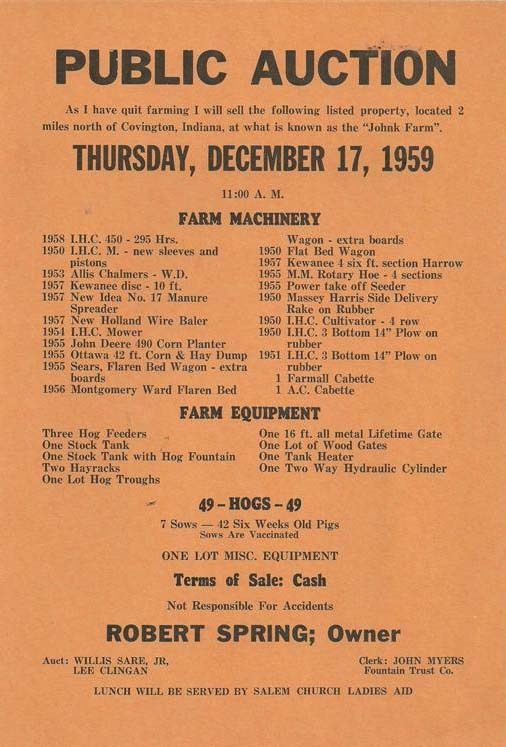 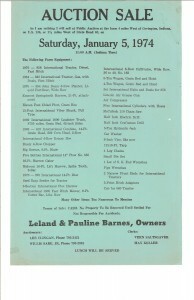 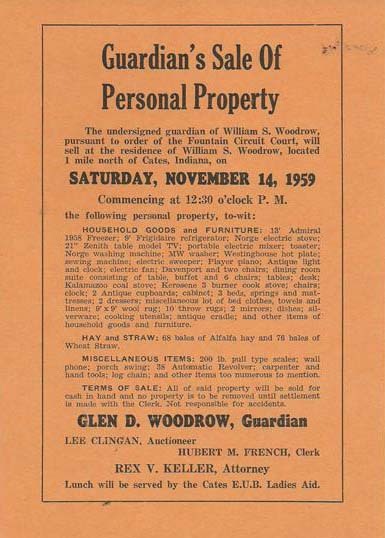 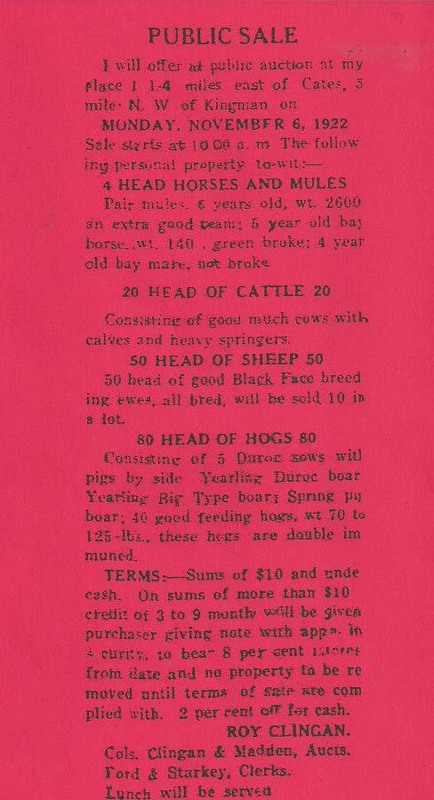 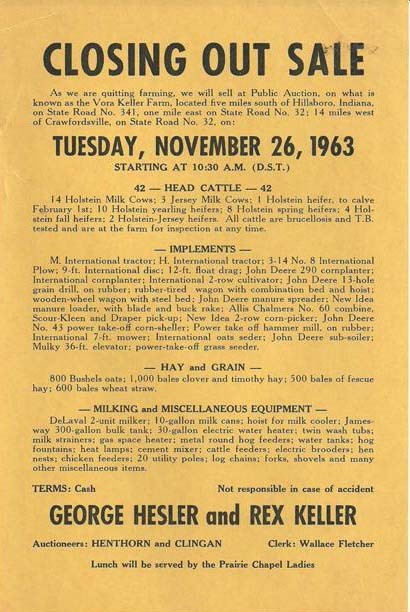 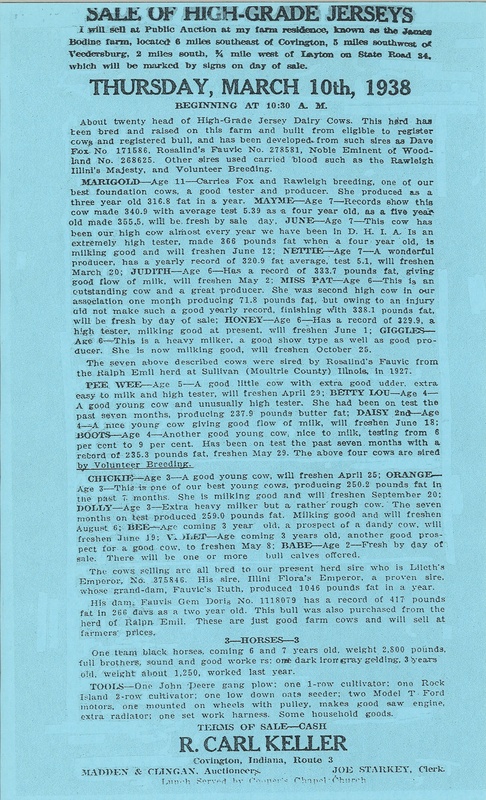 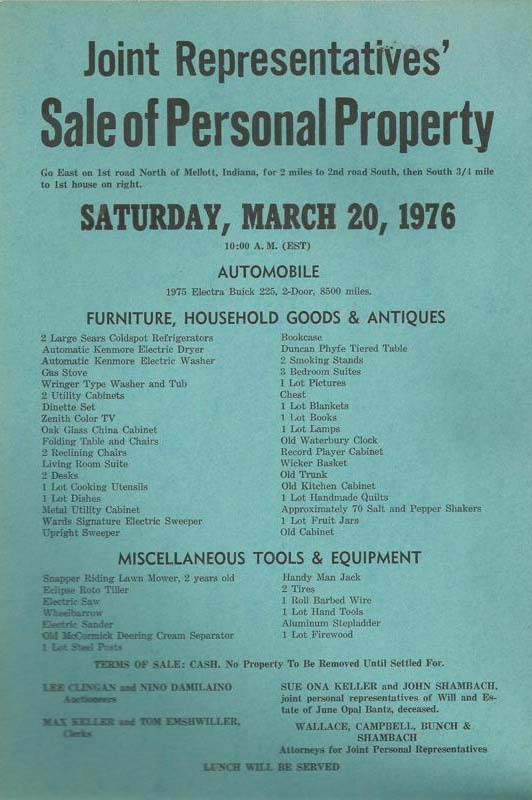 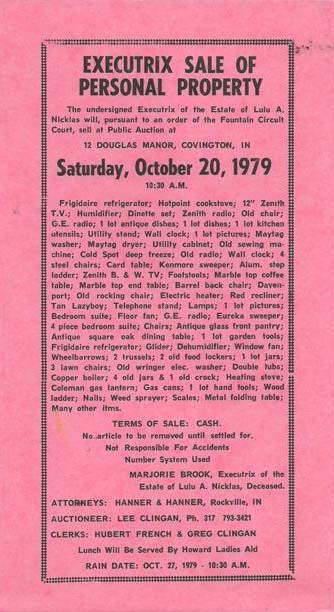 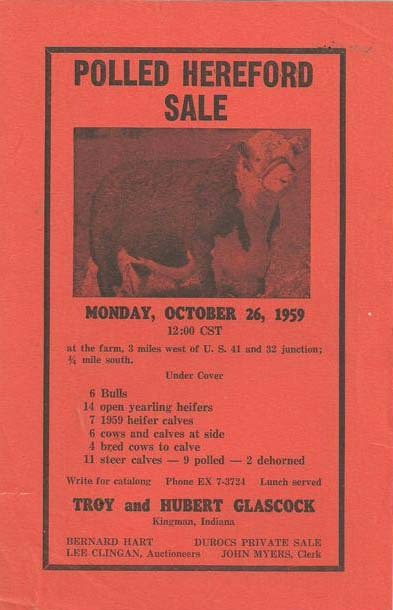 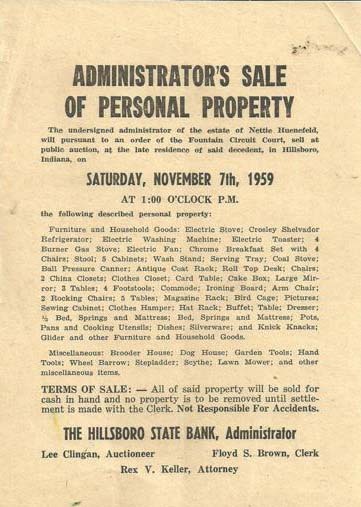 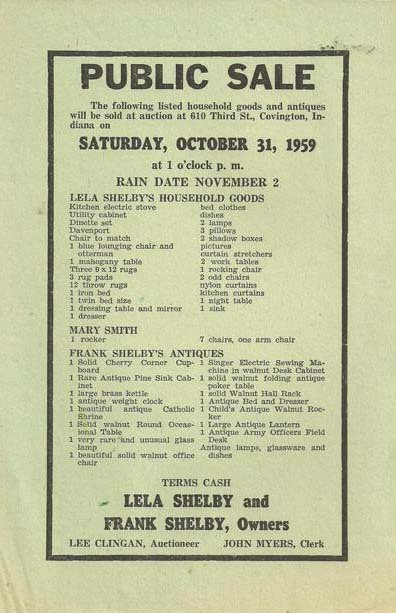 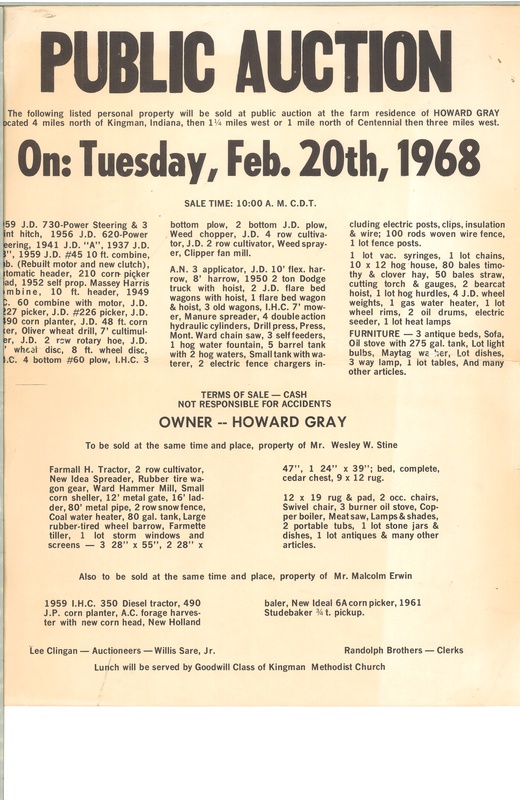 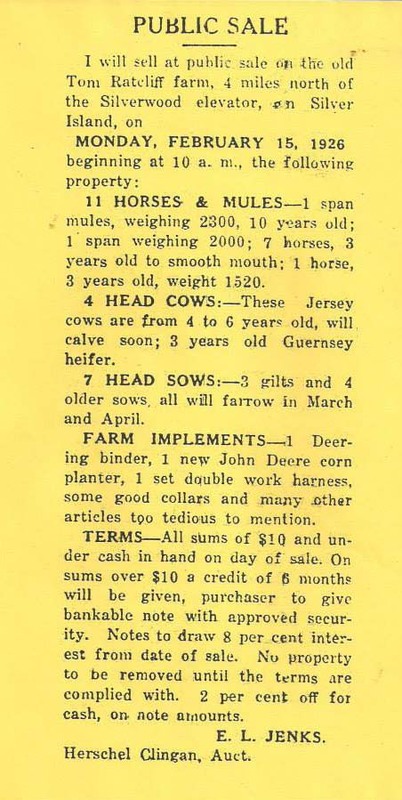 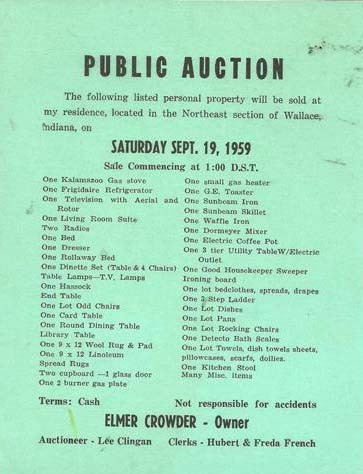 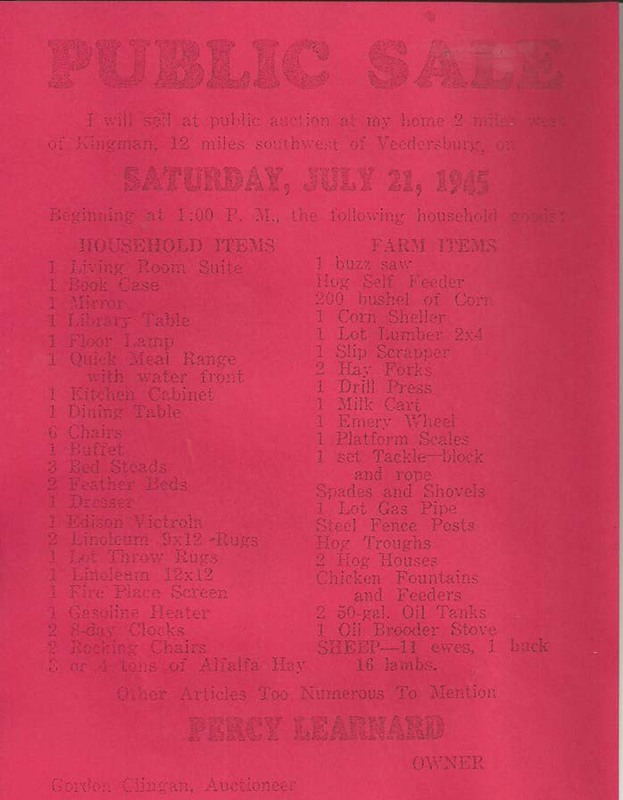 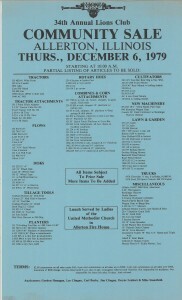 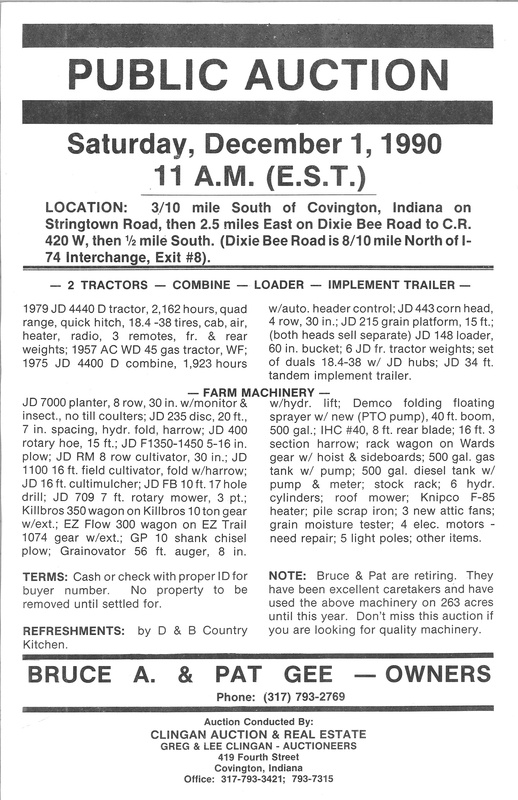 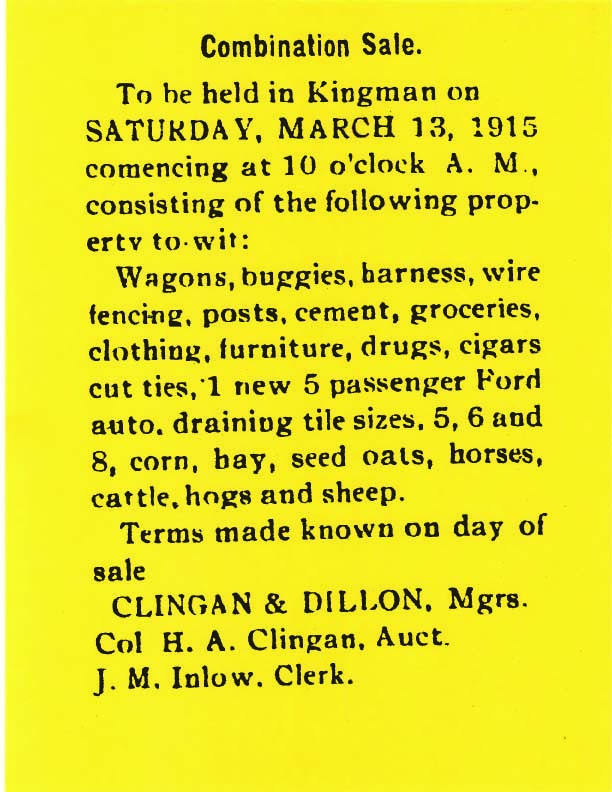 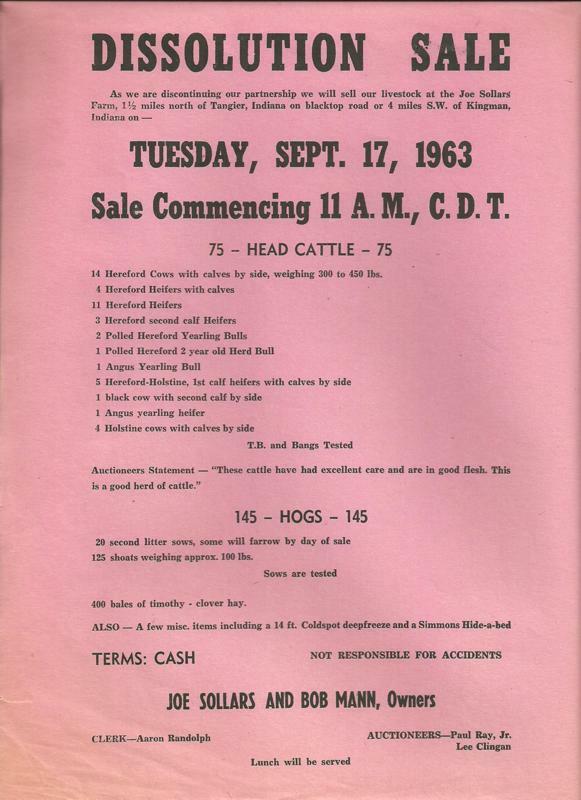 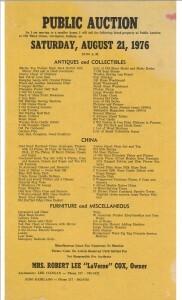 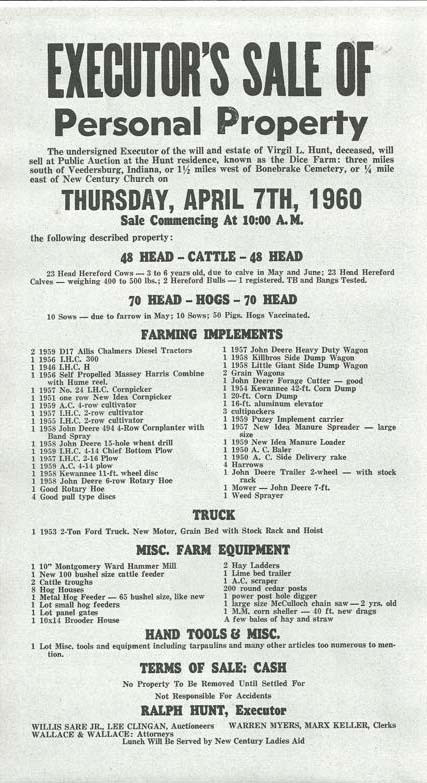 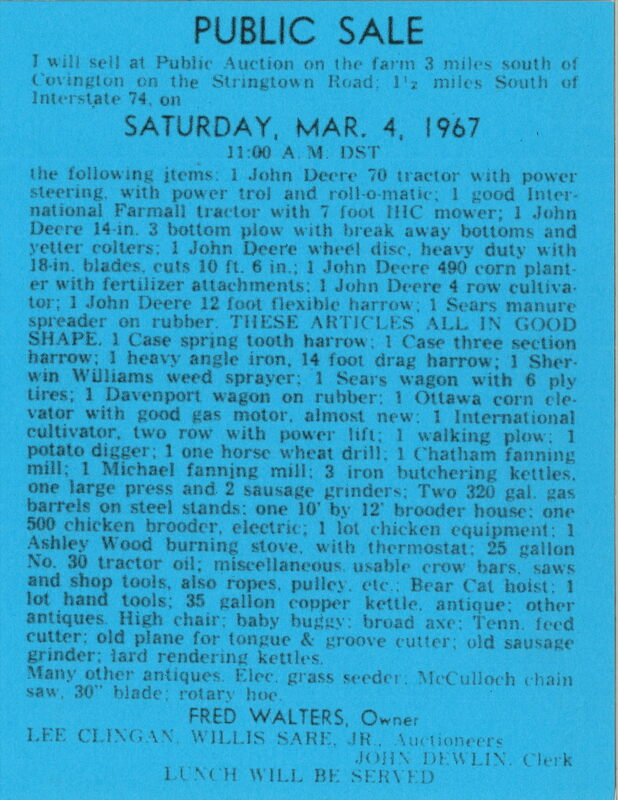 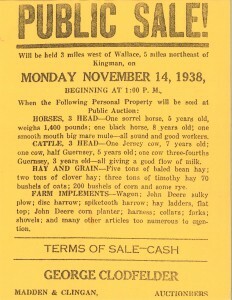 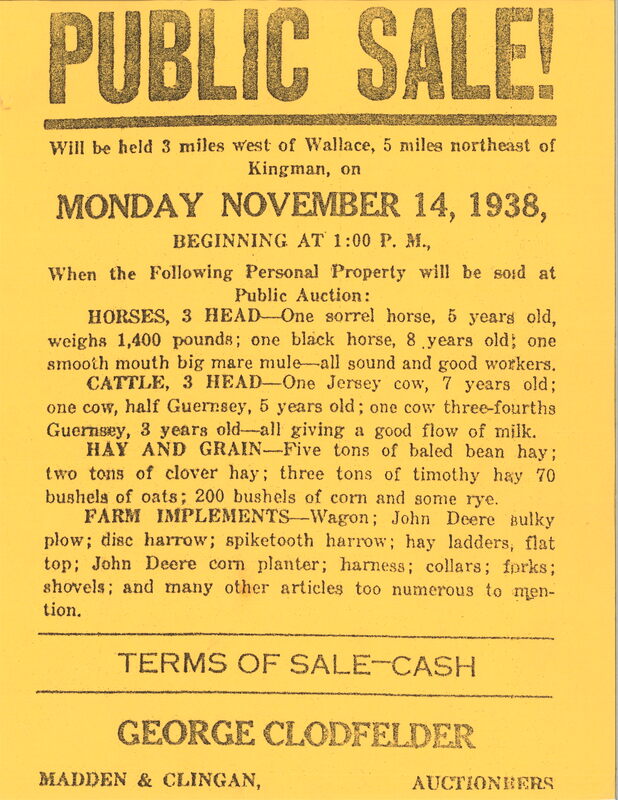 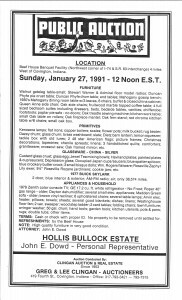 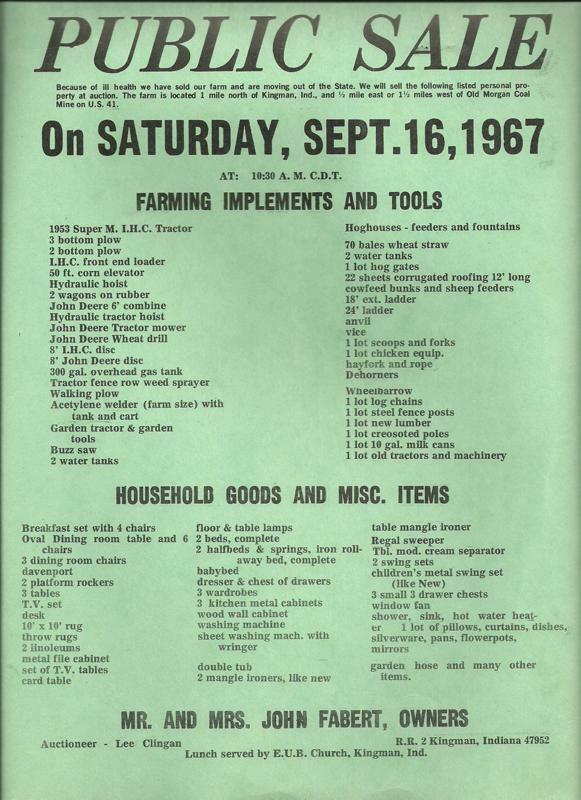 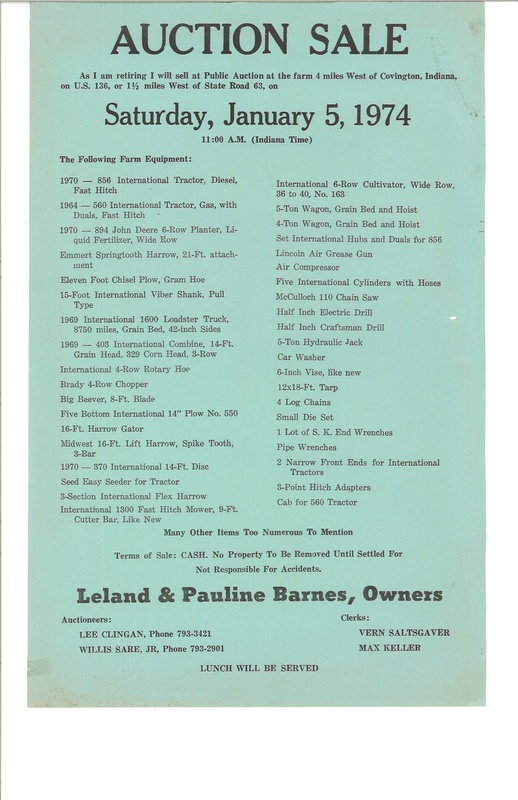 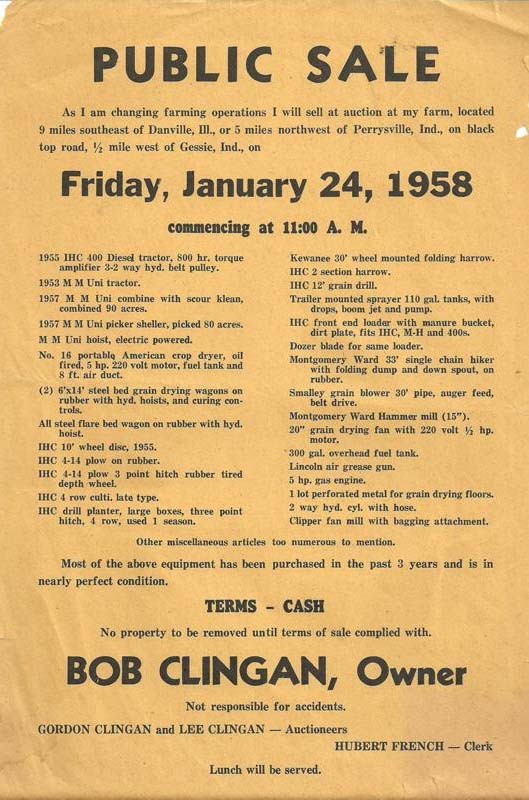 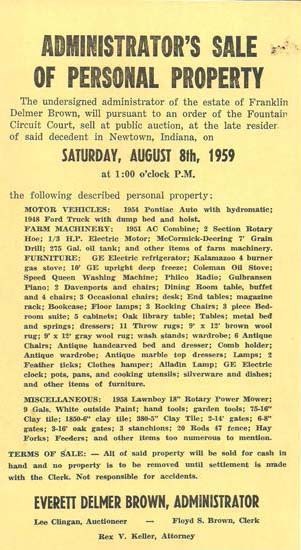 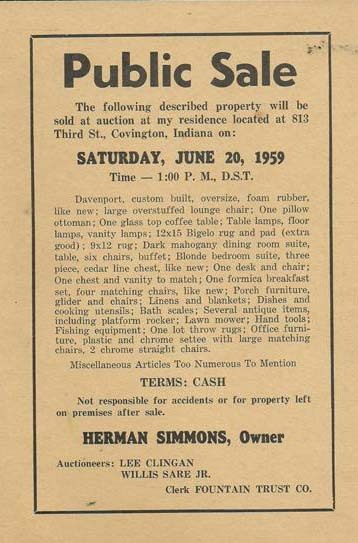 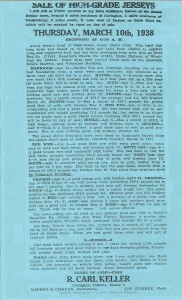 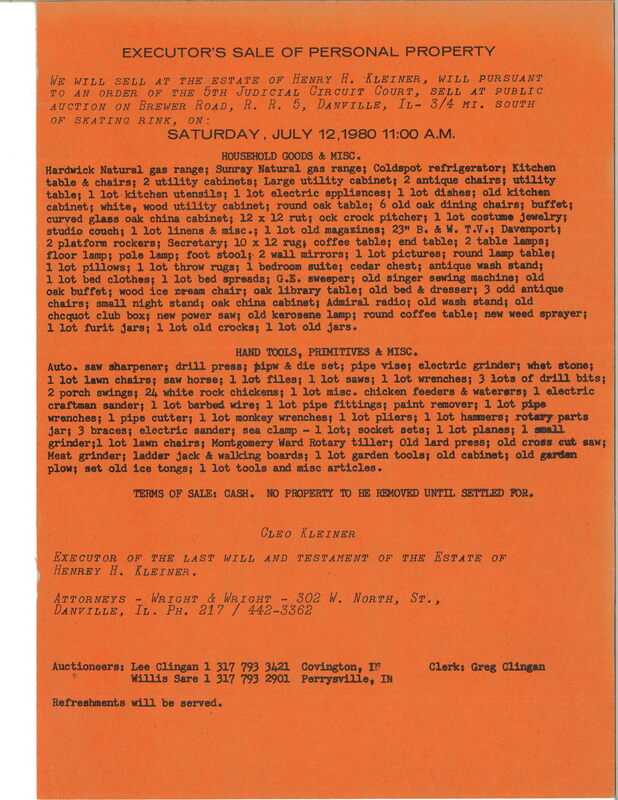 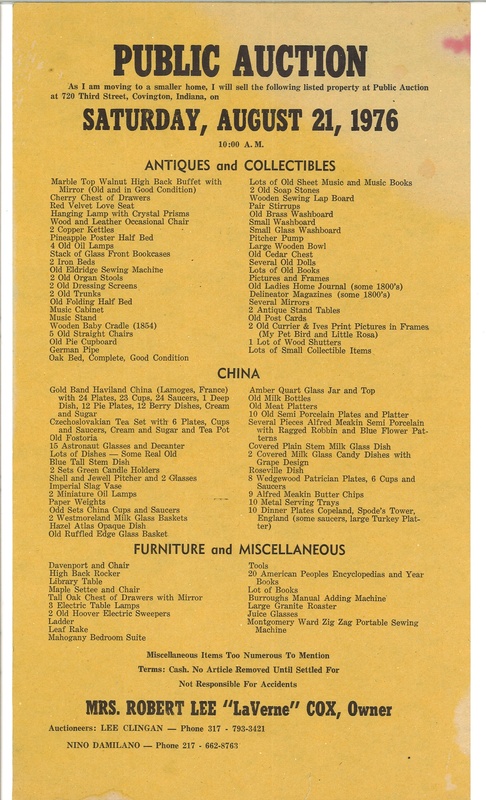 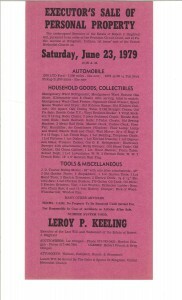 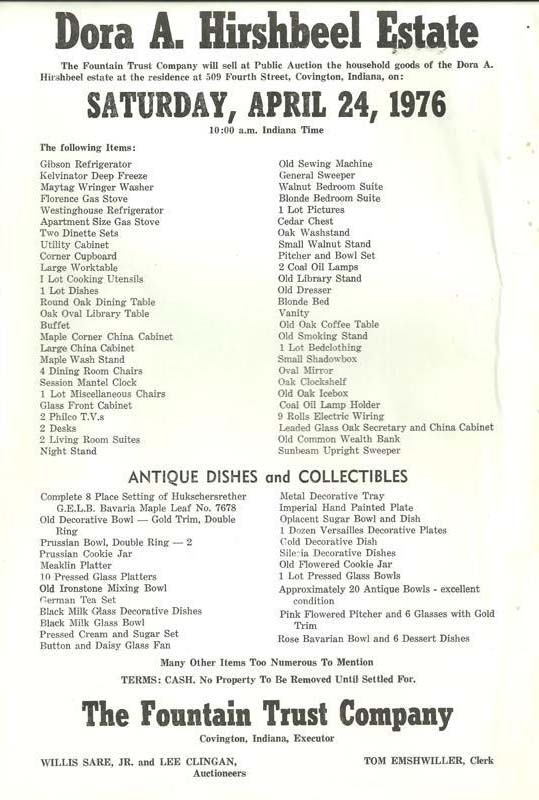 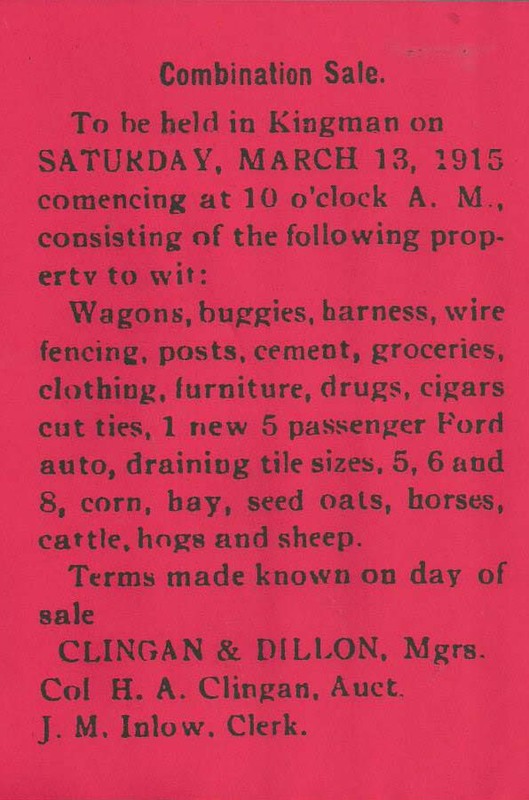 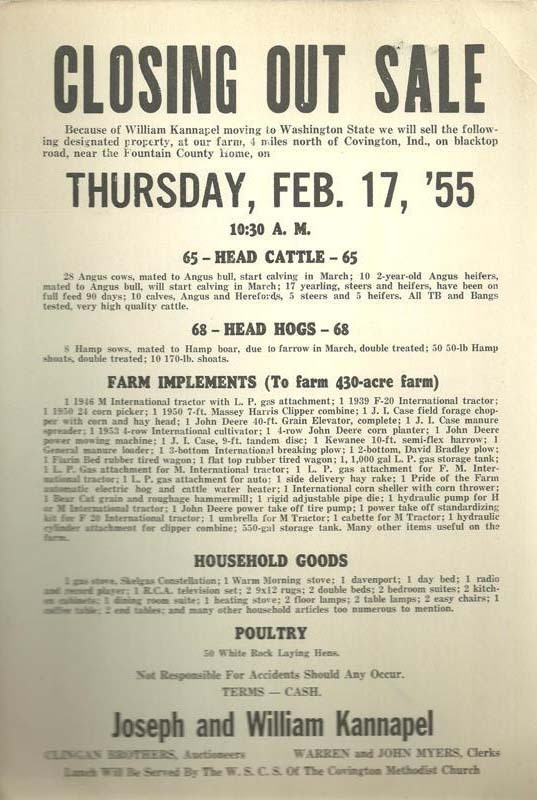 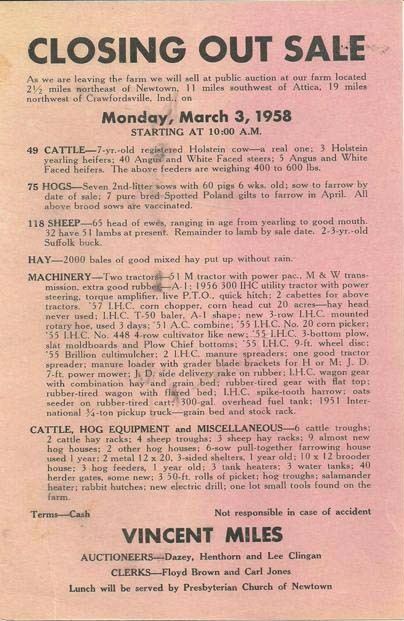 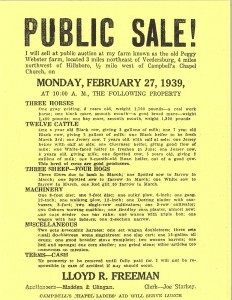 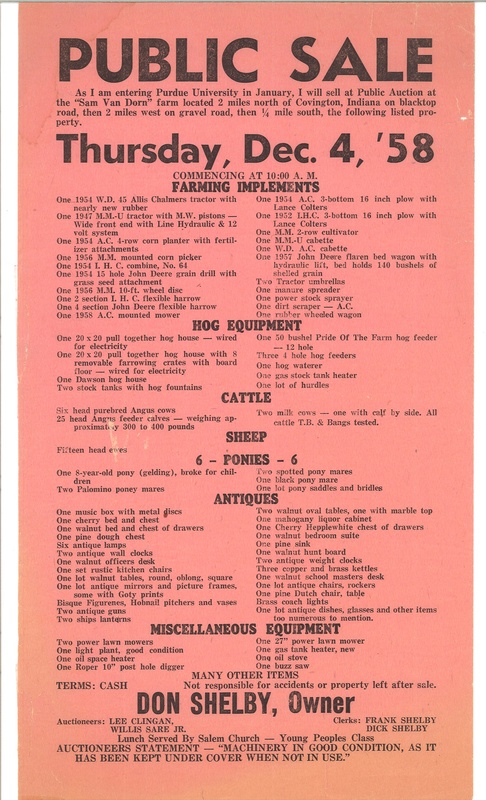 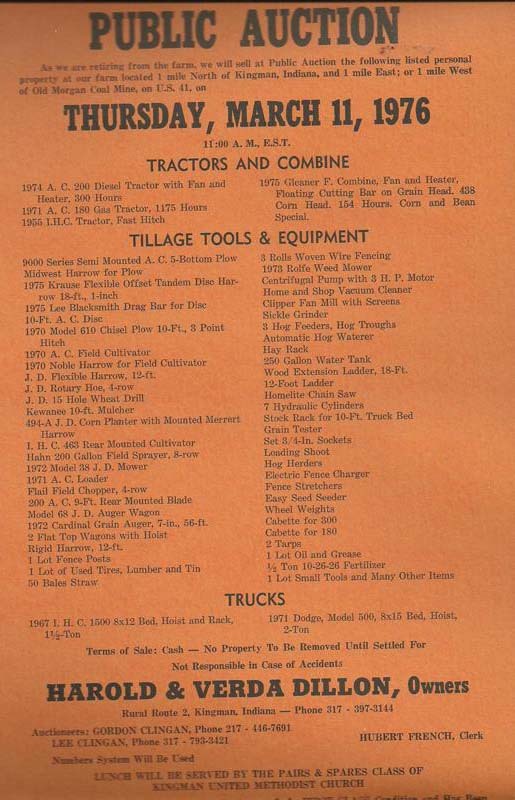 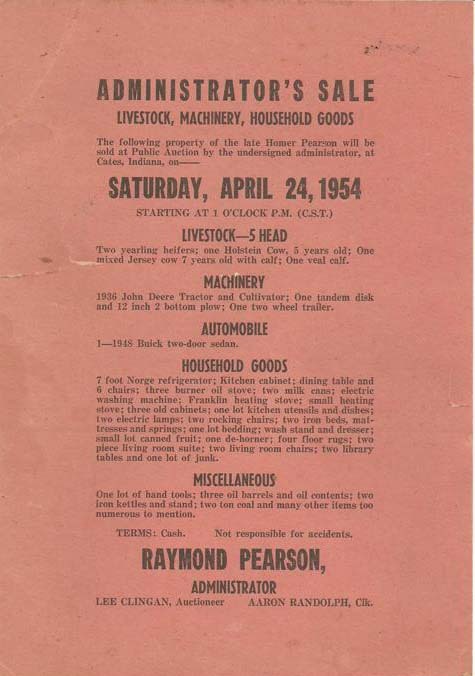 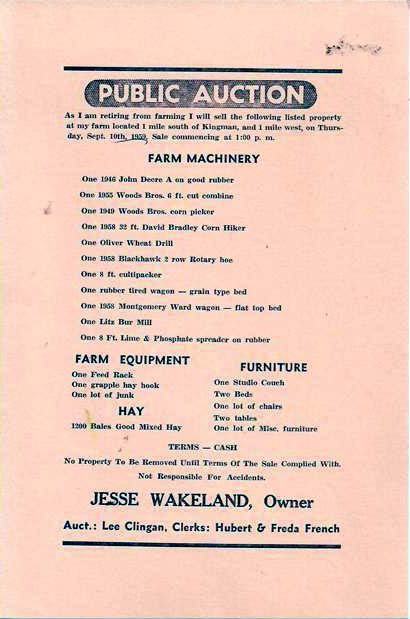 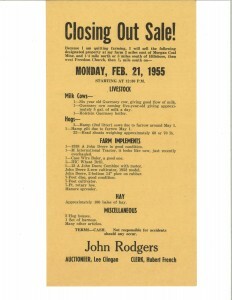 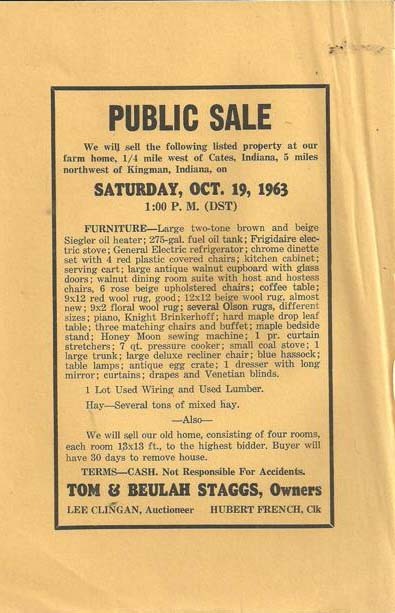 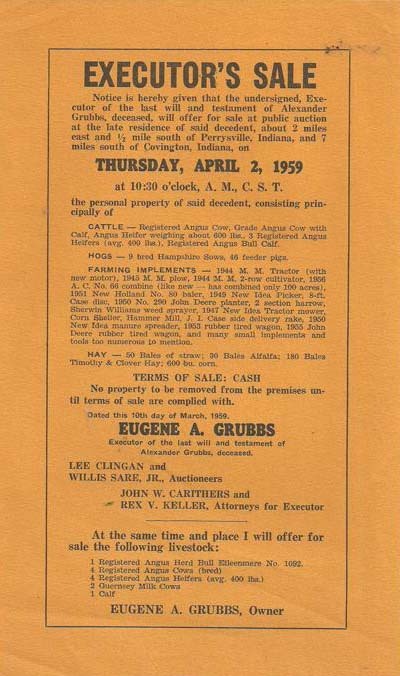 See one of our oldest sales bills above for a Clingan Auction! 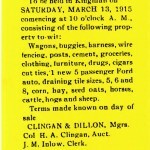 From March 13th 1915! 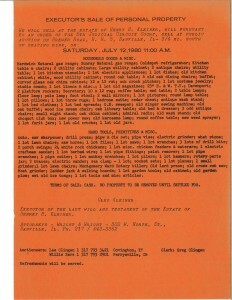 Lee Clingan one of the originals!